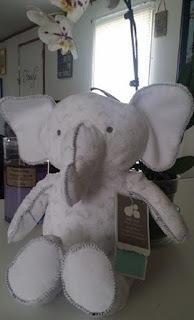 THE REVIEW: I was provided with the opportunity to test out this incredibly adorable Animal Kingdom Plush Elephant from Just Born, and let you guys know how it is. There are other plush toys on their website, but this is the only one in the 'Animal Kingdom' category. 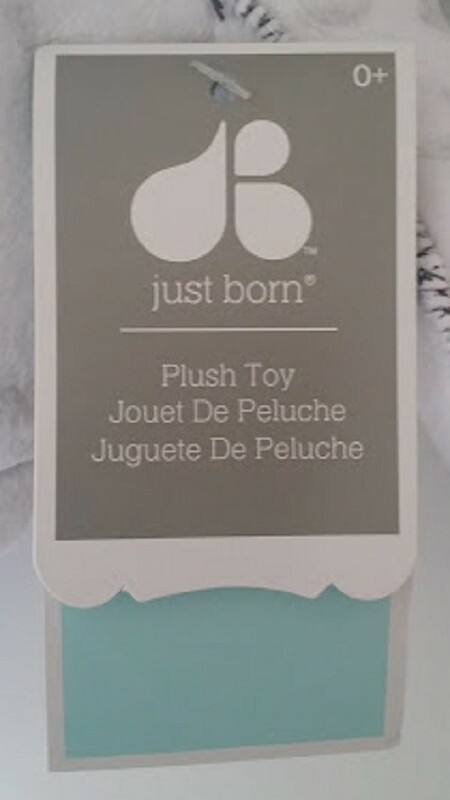 My children may be a bit old for a nursery plush like this, but I have a niece that will be born in mid-September. 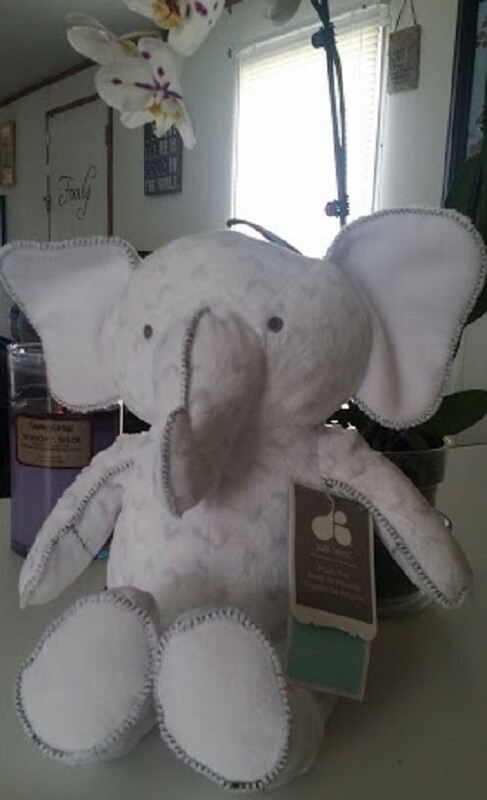 This plush is beyond perfect, because it's made specifically with newborns in mind and my sister-in-law loves elephants! This will make the perfect addition to the nursery. + The feel of this elephant is extremely high quality. + The fabric is very soft, perfect for your little one to safely snuggle with. + This is a lot bigger than I thought it was going to be. I figured it would be maybe, 6-7", but it's a little over 12" tall and 10.5" wide (at its largest points). + It is a very neutral color, so it will match practically any nursery theme. + Give your baby their first Best Friend with this super soft and cuddly Animal Kingdom Plush Toy. 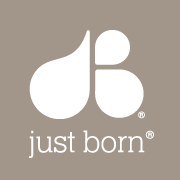 The toy comes in a fun elephant character and will be sure to add the last cute touch to any nursery, especially the Just Born® Animal Kingdom Nursery Bedding Collection. 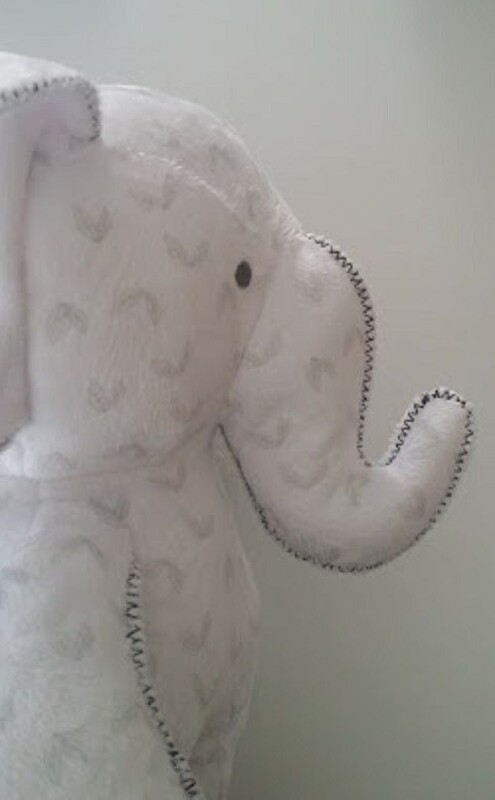 Featured with this plush are wonderfully floppy ears and a protruding trunk. This elephant comes with a themed gift tag attached to its arm. The front of the tag has the company logo and age limitations (in this case, it is made for children ages 0+). The inside of the tag has care instructions as well as a place to fill out personal to/from information. 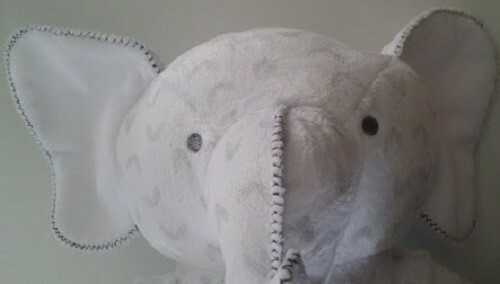 The elephant has soft white fabric covered in an abstract pale grey leaf pattern. This fun design will be interesting for any baby to look at! The seams have been finished with a darker thread for interest in a zigzag fashion. The seams are really sturdy. The elephant's tail is flat, but has some interesting end threads to emulate that of an actual elephant. + Adorably designed for any baby's nursery. 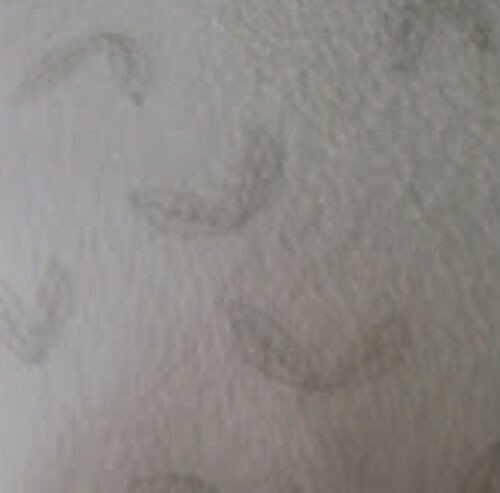 - Is not machine washable; surface wash only. + YES-- this is, indeed, an elephant! + YES-- has a matching nursery bedding set. Order here (pricing may vary). You can also find this product line at Buy Buy Baby, Babies 'R Us, JCPenney, and Kohl's.